The United States originally announced that the third tranche of the 301 tariffs for Chinese goods was scheduled to increase from 10 percent to 25 percent on January 1, 2019. On December 1, 2018, it was announced that the increase would take place in 90 days instead. Therefore, the third tranche 301 tariffs will increase to 25 percent on March 2, 2019. 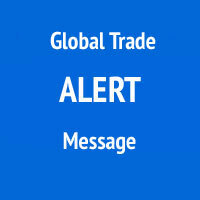 This Global Trade Alert is for the third tranche of China tariffs only. Tranches 1 and 2 will remain at 25 percent.